These folks are the best. We’ve been driving Mercedes from Rallye for 20 years and with five of us driving thankfully Rallye Collision exists. This was my first time there and the experience and customer service was great. My service adviser Emil Perez was excellent. He had the part pre ordered and kept me updated through out the repair process. Enterprise is on site which makes the process easy to rent a car. My car was ready ahead of the estimated time also. Thank you. They repaired my bmw very well. It was only a small bumper job and I got a loner car from enterprise rent a cars that's in the same building. They have a massive parking lot here and the business is hard to see from the street. You have to keep an eye out for the sign outside of the property. Your only going to see a big parking lot and entrance. Excellent service and auto body repair. Car always comes out show room new. Highly Recommended. Did a quick and very reasonable repair on my car. Thanks to the manager John Kunar!! Awesome experience. 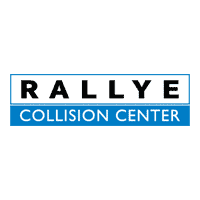 Love Rallye Collision and the staff is amazing. Ken Jacobs is amazing. He’s honest trustworthy and forthright. Took care of some dents no charge. Car was hit from behind badly and it looks like new. I trust my 2016 x4 with Ken and never had to deal with a thing. Didn’t even have to pay my deductible. Felt at home and welcomed.